It's drawing on experts and promoting credible reports. Google is showering more attention on YouTube as part of its effort to fight fake news. The streaming video behemoth has unveiled updates to its service and partnerships to not only boost access to credible news reports, but shoot down dubious claims. 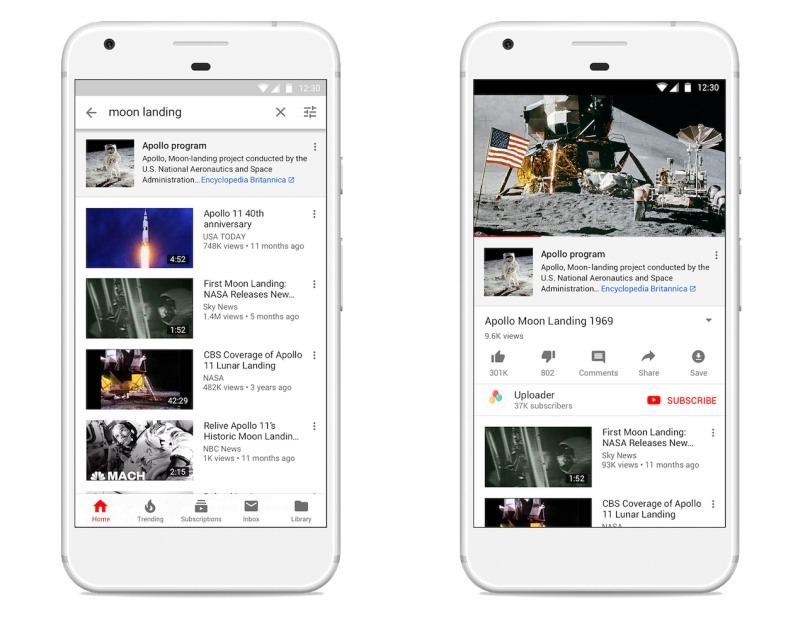 In the US, YouTube will soon show relevant articles next to developing news stories and highlight more local news stories. On an international level, it now links to fact-checking articles when searching for videos on a "small number" of subjects prone to bogus claims (like the Moon landing). People in 17 countries (including the US and UK) also have access to Breaking News and Top News features that surface relevant stories on your home page. The improvements also involve refining the way YouTube tackles news going forward. It's spending $25 million on an initiative that will create a working group (involving organizations like Vox and India Today) for improving YouTube's news experience, fund news outlets creating "sustainable" video operations and widen support for news publishers. A digital literacy education strategy (with help from organizations like Stanford University and the Poynter Institute) to help teens think critically about the videos they watch. As with Google's larger news strategy, YouTube is responding to allegations that it doesn't do enough to thwart conspiracy peddlers and ensure that the news you see is trustworthy. If it succeeds, it could both make YouTube a go-to news source and fend off allegations that it's prone to manipulation by hostile actors. Just remember that it's a big "if" -- the company has an imperfect track record of addressing fake stories.